For every 20 cases of Sweet and Salty Pretzel Twists, get one free! 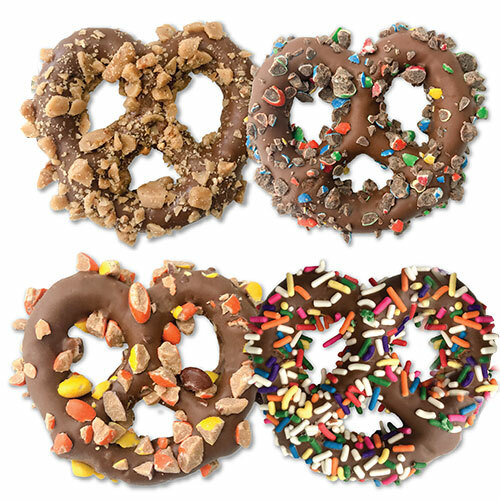 Indulge in the scrumptious Sweet and Salty Pretzel Twists! Twists are dipped in milk chocolate and rolled in four delicious toppings, sure to satisfy both your sweet and salty cravings. • Starting at 50% PROFIT! • Up to 60% PROFIT! 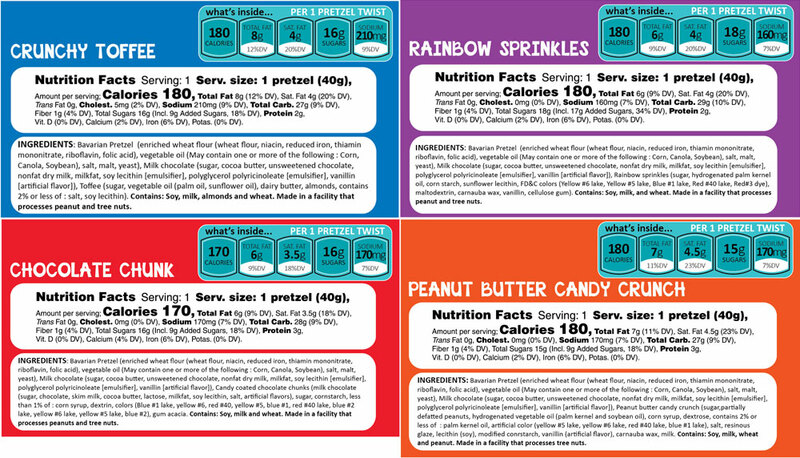 There are 120 Sweet and Salty Pretzel Twists in each case. 1. Sell each Sweet and Salty Pretzel Twists for $2.00. 3. 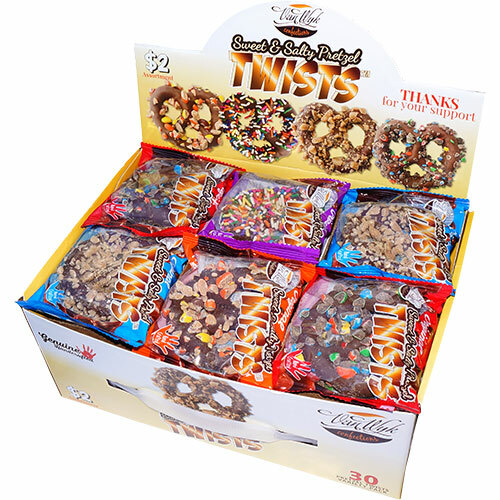 Your price for one case of Sweet and Salty Pretzel Twists is only $120.00. 4. You make $120.00 per case. That's 50% PROFIT!